Dr. de la Viña received the Ford Educational Excellence award and was named one of the 100 Most Influential Hispanics in the U.S. by Hispanic Business magazine. 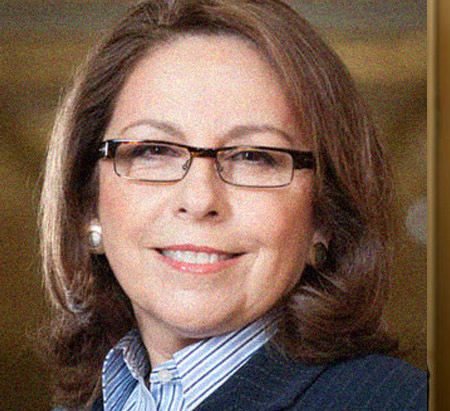 She was the first Mexican-American woman at the secretarial level of the U.S. Treasury in the Clinton administration, serving as Deputy Assistant Secretary for Economic Policy. Following her role at the Treasury, she rejoined academia and was named full professor and Chair of the Department of Finance and International Business at Johns Hopkins University. She has co-founded several companies including Operational Technologies Corporation (OpTech), Vutech and Pronucleotein Biotechnologies in San Antonio, TX. Under her tenure, OpTech rose from a small incubator operation in downtown San Antonio to one of the largest minority-owned businesses in the nation. Her latest ventures are VINJER: delavina/jerge productions and Honey West Entertainment. VINJER is dedicated to the development of film/tv/alternative media productions. Current projects are the development of the Honey West film franchise; the film adaptation of the book, American Terrorist; screen writer of Border of the Dead; development of television adaptations of films - The Three Bilinguals; Mariachi Gringo; and Sanitarium; and developing/writing for new television/new media including Balcones Fault, KRIO, and Dean’s List. Her personal focus is the development and production of film/tv/media for the English speaking and bilingual U.S. Hispanic market.